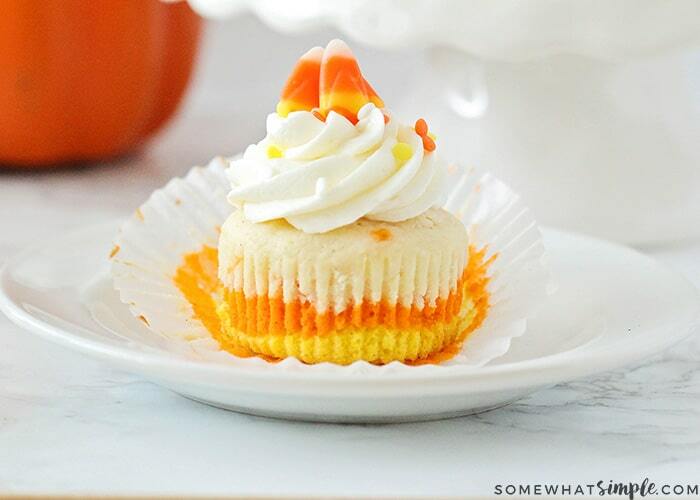 Candy Corn Cupcakes are a delicious treat that are adorably festive and super easy to make! 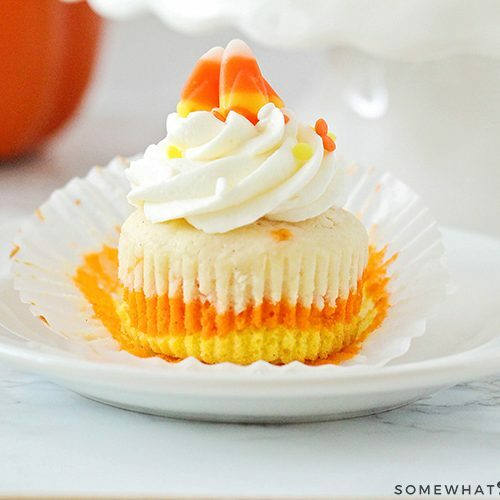 I first had the idea to make Candy Corn Cupcakes when I was making my son’s Camo Cupcakes for his army party. I just love the look of layered cupcakes – it is a fun way to dress up a regular cupcake mix without all the fuss! The method is simple – just layer three spoonfuls of different colored cupcake mixes in your muffin tins – yellow on the bottom, orange in the middle, then white on the top. 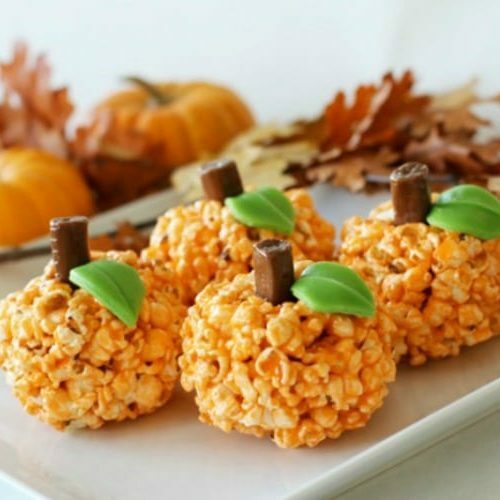 Bake for 20 minutes and once cool you can decorate them with frosting, sprinkles and candy corns! It doesn’t get any easier than that! Mix your cake mix according to the package directions. Divide into 3 separate bowls. 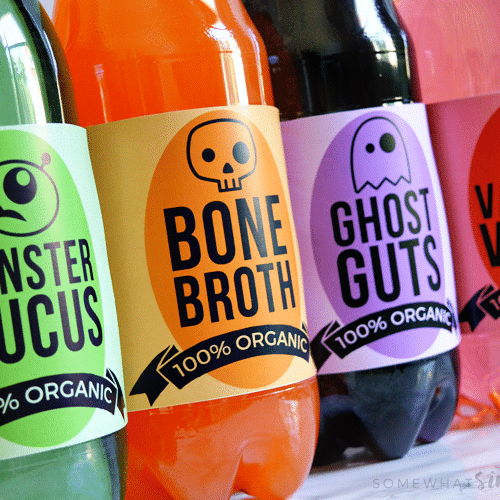 Add several drops of yellow food coloring to one bowl and mix well. Add several drops of orange food coloring in bowl #2 and mix well. Leave the 3rd bowl un-colored. Spoon 1 heaping spoonful of each mixture into your cupcake liners, starting with the yellow, then the orange and finally the white. Bake cupcakes according to package directions. Let them cool completely. 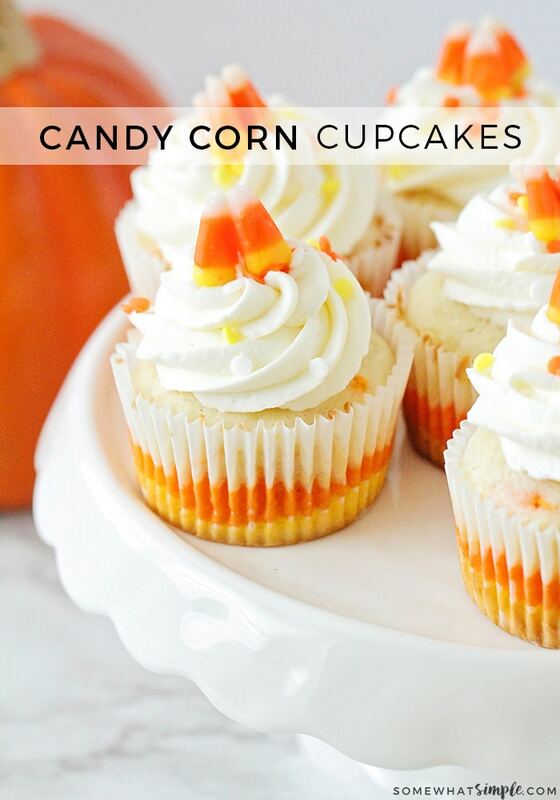 Frost your cupcakes and top with a couple candy corn or colored sprinkles. So simple and festive, right? 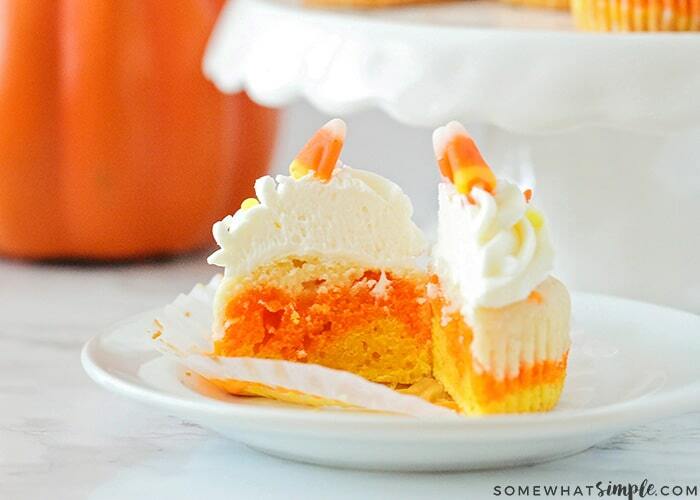 We hope you enjoy these darling candy corn cupcakes! If you make them, be sure to tag us on social media! Great idea! 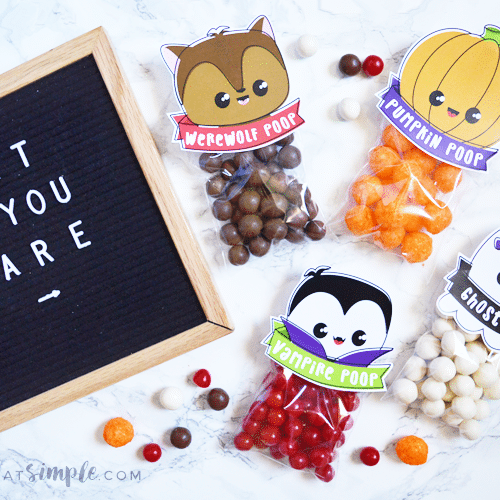 Thanks for sharing….I will be making some for school party treats.